Canon Rebel T5 Review - Is the Rebel T5 a Good Entry Level DSLR? 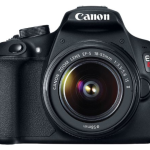 →Canon Rebel T5 Review – Is the Rebel T5 a Good Entry Level DSLR? The consumer looking to upgrade from a point and shoot camera to a DSLR have a great deal of choices available from all of the major camera manufacturers. Canon has many entry-level cameras in their “Rebel” line up, which is targeted to new users of DLSR camera systems. This line up offers a number of cameras delivering excellent results in a kit, which includes both a camera, as well as a lens. In addition, the cameras offered in Canon’s “Rebel” lineup are easy to use and will not intimidate the photographer as they are learning. One of the best and most affordable of the series is the Canon Rebel T5, which was introduced in 2014. Like all of the other cameras in the “Rebel” lineup, the T5 is based on the APS-C or “cropped” sensor format using a CMOS sensor. These sensors, which are smaller than sensors used on more expensive full frame cameras, are cheaper to manufacture than full frame sensors. They are typically used in cameras at this price point, which helps keep the cost of the cameras low. In general Canon’s APS-C cameras have a crop factor of 1.6x, which simply means that the lens on used on the camera is longer than it would be on a full frame camera. An example of this would be the image captured using a 50mm lens on an APS-C camera would be the same as a 80mm lens used on a full frame camera with both images being taken from the same distance from the subject. It is important to keep in mind that the APS-C format is not only used on entry level cameras but also professional level cameras, which are used in wildlife, bird and sports photography. In addition to having a capable CMOS sensor, the T5 captures images at 18 million megapixels, which was unheard of five years ago in an entry-level camera. In general the high the megapixels, the higher the resolution, which is important if the images are printed in 8” x 10” size of larger. 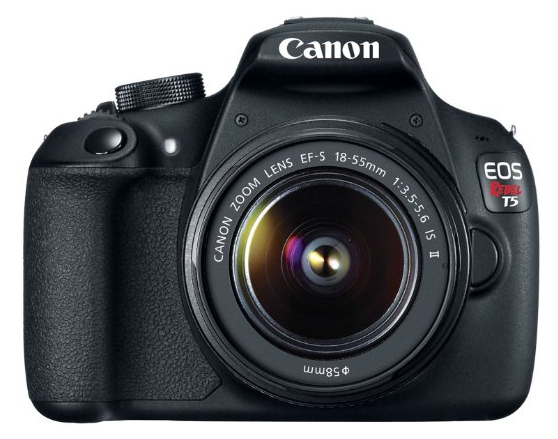 Also the Canon Rebel T5 will capture the files in either JPEG or RAW format. This is important feature of the T5, as capturing images in RAW format will allow the photographer to fully edit the image in special software, as they gain more experience and confidence. The image quality of the full resolution images is outstanding when taken in low ISO settings. Another great feature of the T5 is the autofocus system, which has nine autofocus points spread out in the viewfinder, which provides 95% coverage. The photographer can select any one of these points for the camera to focus on, which allows the subject being composed to be off center and not directly in the center of the image. While one of the popular features of more expensive cameras are up to 50 autofocus points, Canon intentionally keeps the count down in many of the cameras including the full frame 6D to make the viewfinder clearer and less distracting. This allows the photographer to concentrate on proper composition of the image. While not the fasted camera out there, the Canon T5 is still capable of shooting at three frames per second for up to 69 JPEG or 6 RAW files. After this, the camera’s DIGIC 4 processor will bog down as the images are processed and written to the camera’s single SD, SDHC or SDXC memory card. In practice, 3 frames per second is more than sufficient for the type of action photography most people are doing. The shutter speed of the T5 can range from 1/4,000 to 30 seconds, which will accommodate most action shots, while also allowing long exposures. The camera can set the shutter speed and aperture automatically, as well as allowing the photographer to set it manually or in aperture or shutter priority modes. One area that is somewhat of a weakness of the camera is the image quality at high ISO settings. In general when there is less light, the ISO settings are increased either automatically or manually. While high ISO settings allow images to be captured in low light, it is the software in the camera that removes the noise in the image at higher ISO settings. Often as a result of the processing of the image, the detail in the image is often removed, leaving the images to appear “soft”. I found that while the T5 has a normal ISO range of 100-6,400 and is expandable to 12,800, the image quality gets pretty bad at over ISO 800. Many photographers that move to the Canon T5 will enjoy the cameras ability to record video in a variety of sizes and speeds all in MOV format. The image quality is good, however you are limited to a single SD card, so do not expect hours of video! Another unique feature of the camera is its ability to directly print to select Canon printers, as a result of Canon’s strong presence in the copier industry! The T5 has a battery life to allow approximately 600 JPEG files to b captured before needing recharging. The camera also has the ability to integrate an optional GPS receiver, which allows images to be geo-tagged. An integral flash is also a feature of the Canon T5 and is useful I dark situations, as well as to fill in shadows in daylight conditions. While the camera is generally pretty good overall, there are some negative aspects beyond the ISO issue, with most of them being found in cameras at similar price points. The main issue is the build quality, as the camera is made of plastic. While lightweight, it sort of feels like a toy, so be sure to be gentle with it. Another thing that I did not like is the 18-55 kits lens, which is not great optically and is also plastic, resulting in a cheap toy like feel. When turning the zoom ring, I could feel the plastic binding and rubbing together. I would recommend that anyone buying the camera consider buying a prime lens as a replacement. Many photographers prefer prime lenses, because they are generally better optically and they force the photographer to be careful in their composition. A lot can be said about learning photography using a fixed, prime lens! While some camera users look at image quality over technical specifications, others feel that the specifications are equally important. The Canon T5 has excellent image quality and technical specifications, which are shown in the table below. *Information from Canon USA website excluding pricing. In conclusion, while not perfect, the Canon T5 is a reasonably priced entry-level camera for any photographer upgrading from a point and shoot camera. As long as the camera is properly cared for and the photographer has reasonable expectations for the image quality in low light conditions, the T5 will be a good tool. It will also allow the photographer to develop their skills, as the camera does have the capability to grow with the photographer. It’s not the best on the market, but it isn’t bad for an entry-level DLSR. The Canon T5, which is priced at $549.99, comes with an 18-55mm zoom lens, as well as a number of accessories including the battery, a charger, cables and a variety of instructional disks. The only thing needed will be an SD memory card and you will be ready to start shooting. "Repackaged" with not much "new"
Which is Better the Nikon 5500 or the Canon 70D? Which Entry-Level DSLR is the best? The Nikon 3300 or the Canon T5i?